Does This Blouse Make My Butterflies Look Big? At first glance, it looks as if I am wearing a long sleeved dress, but I am actually wearing two very different pieces - a blouse and a pinafore. I woke up this morning wanting to wear print on print and I love how it turned out! This is a vintage blouse made of silk with blue and white butterflies on a lovely orange background. 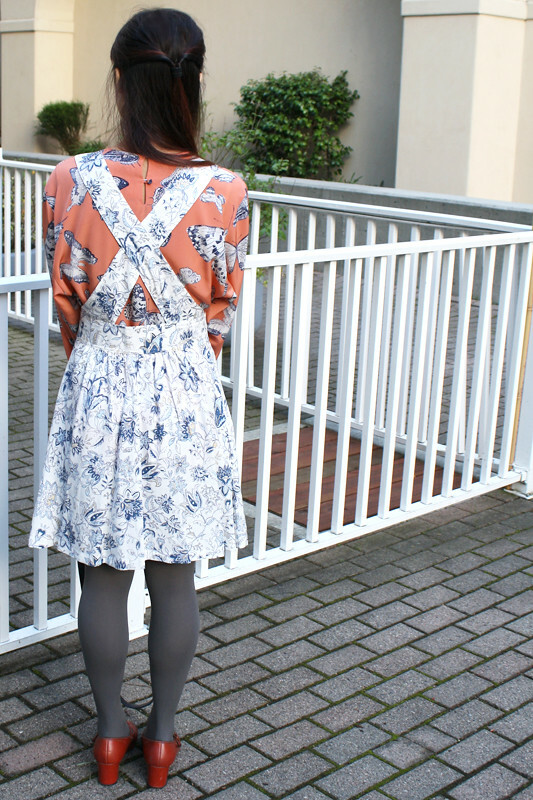 I paired it with this botanical pinafore from F21 which has a similar blue and white drawing-like details. If I were an entomologist, I would wear this combo everyday! Vintage butterfly silk blouse from Anything Vintage. Botanical floral pinafore from F21. 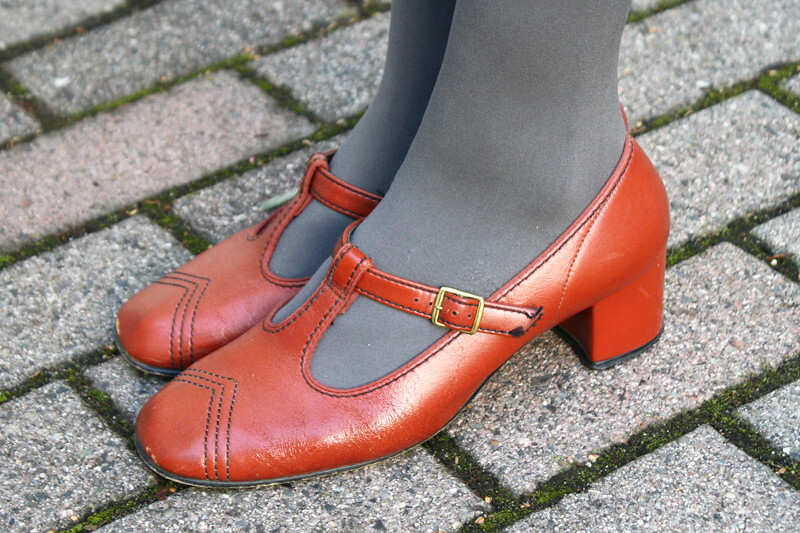 Vintage 60s rust orange mary jane shoes from Magie Belle. Vintage Dooney & Bourke leather handbag from ebay. 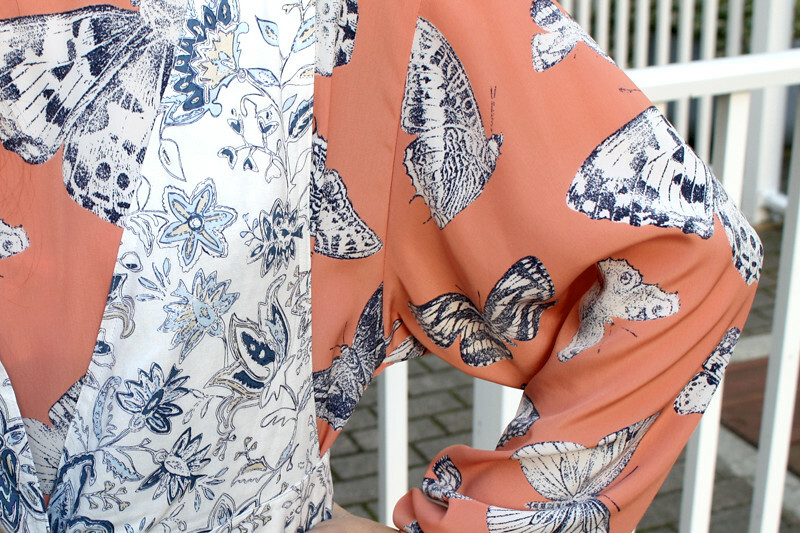 The butterfly blouse is absolutely gorgeous! Your blouse is stunning, and those prints complement each other so well! This is amazing! The two prints work so well together and I love the colour of the blouse. I'm super jealous of your bag! You look lovely, as always. Happy Wednesday!